Spearheaded by a team of leaders passionate about developing people, momenta is a performance improvement firm driven focused on helping organizations make a difference through their biggest asset – their people. Our leadership team and consultants work in tandem to deliver the promise we make to our clients: learning journeys that are relevant, applicable and enjoyable and that provide their people not only with professional knowledge, but also the confidence, ability to adapt, and resilience to excel. Our regional team comprises of experienced professionals with proven track records in the field of Learning & Development (L&D) who have assumed key roles in the industries that we focus on. By combining industry experience with their L&D expertise, they enable us to understand our clients’ needs and challenges better, thereby allowing us to develop world-class solutions for them. The driving force of momenta comprises Core Team members who have more than 100 years of experience between them in the fields of L&D. They each bring a unique portfolio of client and industry experience to momenta, and their combined expertise covers financial services, oil and gas, chemicals, manufacturing, IT, telecommunications, biotechnology, healthcare, education, sports, FMCG, retail and hospitality. Based in different locations across Asia, these industry experts lead teams of trainers and consultants in their respective countries to deliver learning strategies that are specialized, relevant and real. Carl is a leading expert in learning and development. He has 30 years experience in consulting, completed 100+ consulting assignments and facilitated 1500+ workshops on strategy, leadership, marketing and sales development. Carl completed his masters at a seminary, but his calling is in the marketplace. As a serial entrepreneur, Carl founded the Sunstone Group (www.sunstone.biz), a holding company that owns businesses in technology, consumer products, healthcare, business process outsourcing, mining, financial services, real estate, hospitality, education and management consulting. The group is headquartered in Singapore and has offices in Tokyo, Hong Kong, Beijing, Manila, Kuala Lumpur, Penang, Hanoi, Ho Chi Minh City, Bangkok, Jakarta, Surabaya, New Delhi, Austin (Texas) and St. Petersburg (Russia). Carl has an inextinguishable passion to help organizations perform through enhancing the capabilities of their people. 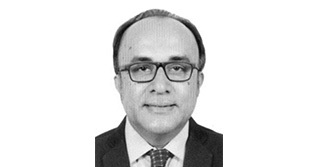 He has deep insights into the inner workings of various industries, including financial services, healthcare, life sciences and biotechnology as well as fast moving consumer goods. 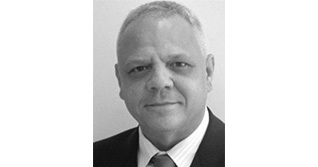 Carl uses his knowledge and expertise to develop industry competency standards and train industry leaders. Carl is often engaged as a strategy consultant by MNCs, NGOs and government organizations to drive innovation and strategic leadership workshops. Clients include UBS, Credit Suisse, Chinatrust, Singapore Tourism Board, Infocomm Development Authority of Singapore, Franklin Templeton, Standard Chartered Bank, HSBC, American Airlines, BASF and Leo Pharma. 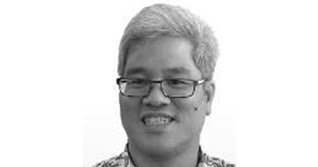 He sits on the board of several NGOs including Church World Service, Family First Global and serves as a Synod member of the Anglican Diocese of Singapore. Carl is currently completing his doctorate in Strategic Leadership at Corban University. His hobbies include practicing Tae Kwon Do with his family, reading the Bible and playing musical instruments. 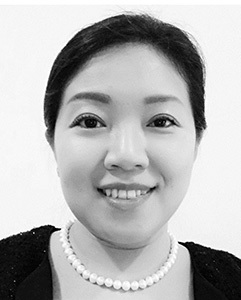 Since 2004, Jessie has been the Asian Program Director for 3 global professional standards and certification bodies, the American Academy of Financial Management (AAFM), the American Academy of Project Management (AAPM) and the Institute of Certified eCommerce Consultants (ICECC). 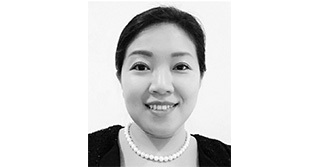 Her responsibilities include overseeing the development of professional competency standards, establishing partner accreditation criteria and the on-going recruitment, accreditation and management of training providers throughout Asia. In this role, Jessie worked extensively to develop and grow partnerships with training companies, including leading colleges and universities, as well as government training bodies in China, Hong Kong, Taiwan, Malaysia, Indonesia, Philippines and Singapore. She also carried a dual role, in managing key clients’ learning initiatives, specifically, technical/mastery courses, financial programs, teambuilding, leadership and sales workshops. 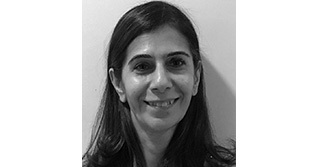 She has worked on training programs with DBS, UBS, ANZ, Barclays, Standard Chartered Bank, Taiwan Academy of Banking & Finance, Aventis/City University of New York, Insurance and Financial Practitioners’ Association of Singapore, Euromoney, China International Capital Corporation, FMC, BNP Paribas, Marketing Institute of Singapore, and the American Chamber of Commerce. Jessie also brings domain expertise in healthcare, pharmaceuticals, medical diagnostics and biotechnology. 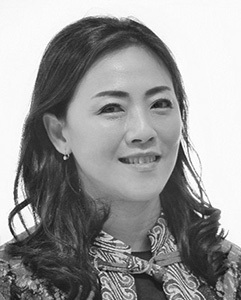 Prior to moving into the training space, Jessie held management positions at Temasek Life Sciences, a leading research institution owned by the Temasek Group. 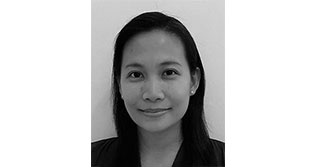 She started her career as a Medical Technologist with the National University of Singapore Hospital and Product Specialist at Bayer Diagnostics. Jessie is a Certified Image Consultant and conducts professional image consultancy and coaching. In her spare time, Jessie is an aspiring baker and homecook, where she enjoys baking delights and putting together healthy cuisine for her family and friends! Audrey has worked with some of the world’s largest organizations on business intelligence as well as learning & development. Audrey started her career in LexisNexis and Euro-monitor where she worked with in-house researchers and analysts to provide clients with business intelligence on their business environment, industry, competitors and consumers. She has focused her time working with HR professionals particularly in the financial services industry in providing end-to-end people development solutions. She takes a keen interest in understanding clients’ business and people development objectives in her pursuit of partnership with the clients. Audrey enjoys interacting with people from various cultures and backgrounds. Her unique blend of regional business development & consulting experience across various industries, as well as her outgoing personality enables her to connect well with clients, assisting them in the achievement of their professional goals. Darvin bring over 16 years of experience in Learning & Development, Human Resources, Sales, and Store Management positions within Banking, Life & General Insurance Food & Beverage and Non-Profit Industries. Darvin’s strong passion in people and leadership development has led him to focus himself on HR and learning in the past 10 years of his career. He has trained hundreds of people in leadership & management programs, sales & advisory skills, banking & wealth management knowledge and various people development programs in various countries such as Singapore, Myanmar, Vietnam and Indonesia. His strength in building awareness in people’s mind & heart and making learning fun and experiential are sought after by a lot of people. 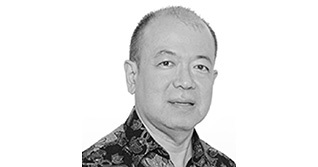 Darvin also has experiences in building people platform to support the growth of business including how to integrate different cultures caused by M&A or internal growth. 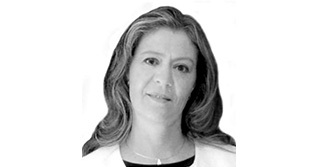 Susana is a Managing Partner at momenta. 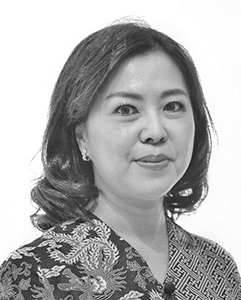 Having over 18 years of professional experience in the financial services industry, she started her career in the retail banking service with Bank International Indonesia. She subsequently joined Malaysian Borneo Finance (MBF) in Indonesia at the start of their foray into credit card scene in Indonesia. After some years in MBF, she opted for a switch to head up REM Finance Division in automotive industry. Her key role was to build up the finance division from grounds up. Keen to pursue her interest in the insurance industry, she joined Asuransi Central Asia (ACA), where she was responsible for General Affairs Division. Roy brings to the organization over 23 years of experience in a variety of industries such as banking, wealth management, reinsurance and non-profit organization. 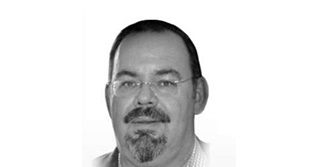 Roy’s expertise is focused on team management, sales and product development in the banking industry. 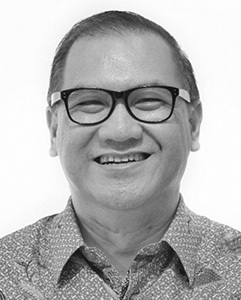 He has held managerial positions in major banks such as Universal Bank (Permata Bank), Citibank and ANZ Bank, and effectively supervised large teams and develop long term contact and relationship with potential and existing clients. 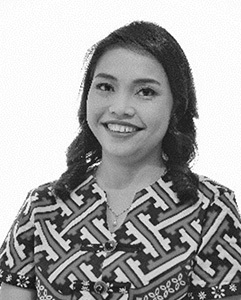 Ria bring over 32 years of experience in Learning & Development, Human Resources, Change Management and Organization Behavior positions within Banking, life Insurance, Consumer Goods and Energy industries as well as having an academic role in a state university in Surabaya. 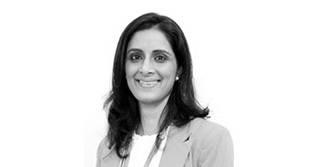 Ria’s strong passion in people, leadership development and change management has led her to focus herself on Human Capital development, Organisation Behavior and Change Management in the past 14years of his career. 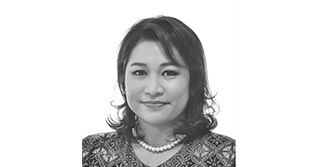 She has been involved in various strategic Human Capital and Change management initiatives in various organisations such as banking and financial institutions, food manufacturing, oil and gas and state owned enterprise in Malaysia, Philippines, Australia, India, Nigeria, Greece and Indonesia. She has a unique exposure combining strong pracationer experience at a strategic level, consulting and academic roles. her strength’s is in building awareness in people’s mind & heart and making change exciting and rewarding, and building awareness in the importance of leadership skills in achieving the organisation’s goals. Ria’s is also an Executive Coach, providing coaching services to enhance leadership effectiveness for senior leaders. 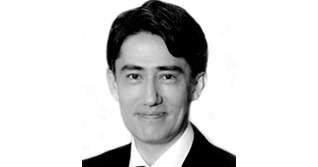 Masa is the Managing Director of momenta Japan. As an expert of customer touch points, Masa has over 15 years of experience in research, training and consulting in many industries. Masa’s experiences include development and delivery of sales training program for international life insurance company, development of evaluation and incentive system for airline’s call centre etc. Masa has contributed many articles regarding maximization of customer touch points to newspapers and magazines in Japan. 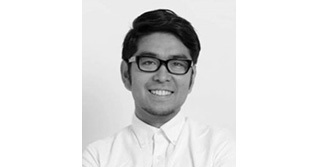 Masa has Bachelors Degree in Communication from college in US and Sociology from University in Japan. Chandan has close to three decades of business, learning & development and human resources experience. 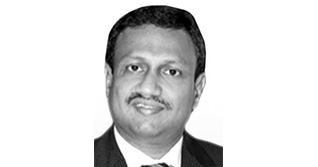 He has worked with organisations in multiple sectors such as FMCG, Office Automation, Hospitality, IT, Education, Insurance, ITES, Wealth Management and Banking. 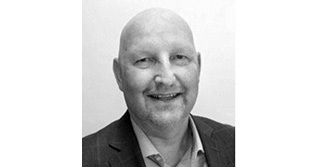 He has been in leadership roles in HR, L&D, Sales & Channel Development for more than 25 years. 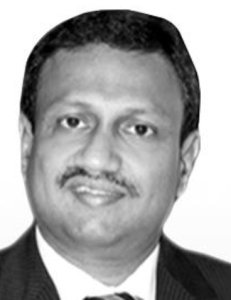 His last corporate assignment was as Head of Learning and Development for Citi’s Global Consumer Bank in India. An accomplished facilitator he would have trained more than 35000+ employees and Managers primarily within organisations in Sales, Behavioural and Leadership in India, Singapore, Malaysia and Vietnam. Sales – Consultative Sales, Managing Key Accounts, Relationship Management, Sales Coaching for Leaders, Strategic Selling and Conceptual Selling. Leadership – Leadership programs for First time Managers, Manager of Others and Manager of Manager roles. Success Behaviours – Communications Skills, High Impact Presentation Skills, Performance Discussion, Influencing Skills, Lateral Thinking. Transition, Performance, On-boarding, Leadership, Life Coaching and Training to Coach. Has been coaching since 2009 and is a certified ACC (ICF) with more than 700+ hours of coaching experience. He has also trained more than 600+ managers in the art of coaching. All types of psychometric instruments like Type indicators, Human Behaviour model, personality factor model, sales profile, management style inventory and 360 feedback. Member of the British Psychological Society and the European Federation of Psychologist Association. 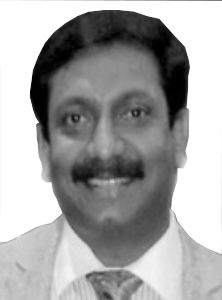 Somasundaram, a proven top performer with startup and leading organizations with 28 years of leadership experience in managing education and training retail operations, has a track record of driving top line growth, increasing profitability through finding innovative ways and building teams in diverse and cross functional areas. He has been in leadership roles in Sales, Business Development, Channel Development, and HR for more than 18 years. His last corporate assignment was as CEO of a Learning and Consulting firm in the Education Sector. 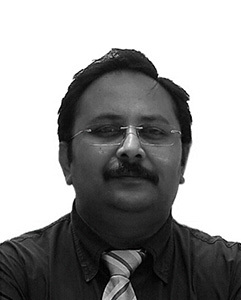 In his previous assignment, he has been instrumental in creating a new industry – Image Consulting in India. As accomplished trainer, he has trained thousands of Leaders, Managers and Employees in Sales, Behavioral and Leadership across India in various sectors. A vivid traveller, he loves travelling to different places, learning various cultures and capturing the beauty of nature and human through his passion in photography. Having been a corporate trainer for 20 years, Dexter has rich experiences in delivering various training programs for different multinational corporations in Asia and Greater China. 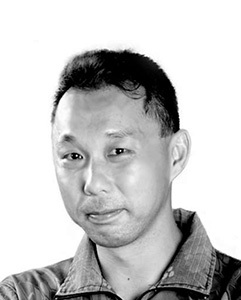 Before he became a trainer, Dexter had worked as manager of Marketing, Project, Documentation, Management Information System, and Sales, respectively, in a British global company in Hong Kong. He understands well the challenges business faces and the relevant strategies to tackle them. Heraeus – Has been delivering a 10 days Leadership Advancement Program repeatedly for since 2011 in Singapore, Shanghai and Hong Kong. Selected high flyers in the company participated in the program; they have advanced their competence in leadership, communication, team work, and coaching. Intercoop Limited – designed and delivered a Change Manage Program for its Hong Kong office between 2009 to 2010. This program involved 80% of the 100 or more staff in the company. It comprised of VMV Management workshop with the top management team, DISC Leadership Workshops, Change Management Workshop for middle management for frontline staff, and also a series of coaching sessions for more than 20 middle management with a nine month time frame. ExxonMobil – Has been conducting Presentation Workshops for this global leader since 2008 to 2013. These workshops are delivered in Shanghai, Beijing, Singapore, Jakarta, and Kuala Lumpur. The average score for the participants’ evaluation on these workshops for the last three years was 4.5 out of 5. Managing Consultant – Aspiring Consulting Group Limited, provides training and consulting services is Asia and Greater China. MIS/Documentation Manager – Dodwell Shipping, a subsidiary of Inchcape Group. Marketing Manager – Gilman Office System, a subsidiary of Inchcape Group. Sales Manager – Gilman Office System, a subsidiary of Inchcape Group. Financial services – Retail banking, private banking, investment banking, insurance, asset management. Leadership – Situational Leadership, Performance Management, Change Management. Communication – Presentation Skills, Influencing Skills, Coaching Skills, Train-the-Trainers. Business Development – Consultative Selling, Negotiation, Customer Service. Tania Harris is a dynamic and result focused trainer, who motivates her participants at a physical, emotional and intellectual level to strive for continued excellence. Tania specializes in persuasive face-to-face business communication skills using experiential learning within small groups to guarantee behavior change. Her training are practical and her total commitment to her participants coupled with her business experience acquired in Europe and Asia brings much valued commercial perspective and have helped many organizations and individuals achieve greater understanding, motivation and productivity. Tania has been coaching primarily in the field of banking and finance, advertising, media and research and government agencies. 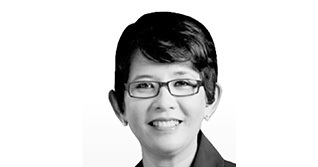 Her work has included assisting Singapore and foreign listed companies during their initial public offerings (IPO). She has also helped senior level executives and management to achieve their own personal goals and to affect the profitability of their companies, align sales teams and create action for achievement through conducting programs in public speaking, negotiations, advising and influencing, media skills, one-to-one coaching and pitch consulting for specific tenders. 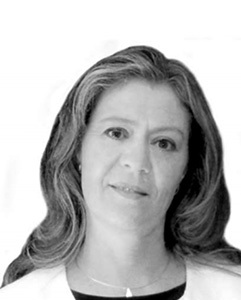 Tania’s early experience included a successful career of 17 years in managerial and consultancy positions within blue chip companies in Paris, London, Madrid and Rome, where she has developed expertise in corporate/market positioning, business-to-business marketing and below the line advertising. This included strategic input in giving clients reliable research information on competitive performance and the impact of their marketing and sales programs on revenues and profits. Her first-hand experience of advertising, account management, market research, sales and marketing, have given her clear insight as to how coaching and training can be used to great effect in initiating change and achieving significant results. Her fluency in 5 languages has been a significant factor in her understanding of the importance and potential impact of clear communication and her appreciation of the challenges of working within multi-cultural environments. 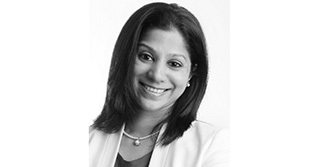 Some of Tania’s clients in Asia, Middle East & Europe include over the years: JP Morgan Chase, Schroder Investment Management, DBS, Barclays, Goldman Sachs, Citibank, NAB, Batey – DDB, O & M, Saatchi & Saatchi, Wellesley Partners, ACP, Asdcendas Macquarie Goodman, Plus ExpressWays Berhad, UEN Renong Group, Morgan Stanley, Beckton & Dickenson, CCI Engineering- Middle-East- Europe & Asia (IMI Group), RBS/ABN Amro, Nomura Asset Management, Lion Capital, Moody’s, Prudential Asset Management, Merril Lynch, Standard Chartered Bank. Managing Partner & Executive Coach – Out2Win – boutique training and consultancy. Senior Consultant & Trainer (Singapore) – Rogen Pte. Ltd. – training and coaching company providing skills and leadership programs. Recruitment Consultant (Hong Kong) – Leader Financial Research. International Head of Sales (UK) – Europe, Middle East & Africa- Forza Group Limited. A premium exercise and isokinetic rehabilitation equipment distributor. Research Manager & Trainer (UK) – Continental Research Group – Market research firm. Production Director (Italy) – Programmes Ltd – Marketing and advertising company. Production Manager (France) – Tran Europe Information – Subsidiary of Programmes Ltd. He has directly designed and facilitated leadership, business development, and team development, marketing and sales programs. 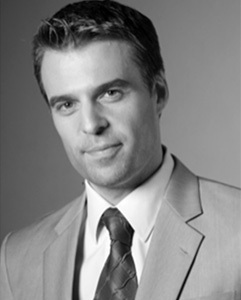 He is experienced in leading teams, training, facilitating, consulting and working in cross-culture environments. 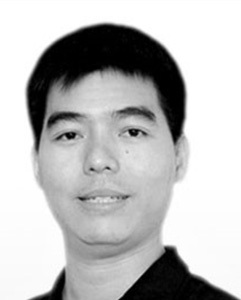 Cuong is analytic with good communication and management skills. 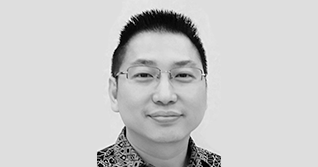 He has strong network with businesses, consultants, policymakers and researchers from Vietnam, Singapore, Thailand, Malaysia, Germany, UK, the USA and Japan. He is also delivering lectures in International Marketing and International Business at the National Economics University. 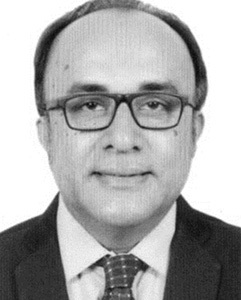 His papers have been published in books and journals such as Journal of World Economic Issues, Journal of Economics, Journal of Foreign Trade, and Journal of Economics & Development. He is the co-author of management books including Asian Business and Management: Theory, Practice and Perspective published by Palgrave Macmillan; The collection and usage of Marketing Information by Vietnamese SME published by the NEU Publishing House; and Improving Industrial Policy Formulation published by the Publishing House of Political Economy. He actively contributes to evaluating official development assistance (ODA) projects and evaluating public investment projects in Vietnam. He enjoys gymnastics, reading novel and playing tennis. Member of Board of Directors – STM, a manufacturing company in painting, plastic box & vacuum tray, machinery, automation & tools. 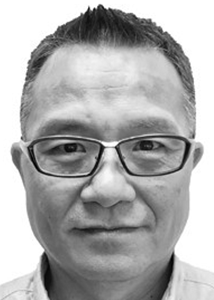 Sherman is the Managing Director of Momenta Taiwan. 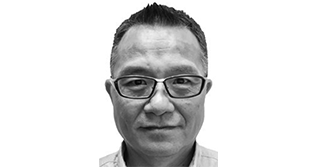 In 1993, Sherman kicked off his career as a Sales Manager with Asian Sources, a prestigious trade publisher for global import and export business. 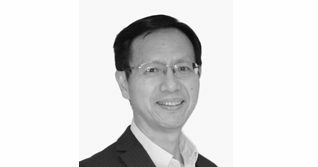 He quickly moved into a regional executive role to expand the company’s sales operations and business in South East Asia Countries and China. Here, Sherman implemented new management and performance improvement system for branch operations which contributing to remarkable sales growth in the following years. In 1998, Aegon Financial Group recruited Sherman as a Executive Sales Director to grow the size of sales-forces and to improve the sales performance. Over there, Sherman successfully developed new sales channels and agencies to double the business growth. In 2002, Sherman founded S&D Research Group (a sales and service consultancy /training company). S & D has provided its training solutions to many well-known companies such as Oracle, PWC, Bayer, ING, Fubon Bank, SKF Group, etc. 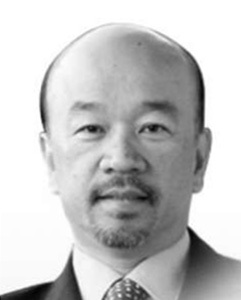 Sherman is currently the CEO of Family First Taiwan and sits on the board of Family First Asia, a non-profit organization focused on parenting with a particular focus on fatherhood. 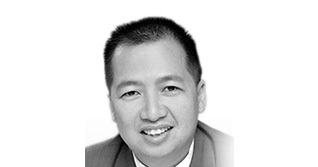 Glenn is the CEO of SEAOIL Philippines, Inc, the largest and leading independent fuel company in the Philippines with over 400 gasoline stations nationwide. He is married to Jackie, a certified public accountant who helped with the business until 2015 whe she decided to become a full-time homemaker. Glenn and Jackie Yu have been married for 17 years and have 5 children. Both are third-generation ethnic Filipino Chinese living in the Philippines. As a couple they desire to intentionally disciple their children for them to know and have a personal relationship with the Lord. Glenn believes that God owns everything including the business and we are mere stewards of it. He values integrity and choose to practice biblical principles in the management of the business. In 2012 and 2013, the company was recognized as one of the top taxpayers in the country by the Bureau of Customs and Top 3 Revenue Contributor in Subic Port in 2016. He believes he is not only responsible for his employees financially, but also physically, mentally, emotionally and spiritually. Faithful to the great commission, he views the business as a platform to share the good news to his employees, suppliers and customers. In 2015 to 2017, SEAOIL received the Asia Best Employer Brand Award from the Employer Brand Institute, World HRD Congress, Stars of the Industry group, and Asian Confederation of Businesses. SEAOIL Foundation Inc. expands the culture of integrity outside the business by actively creating programs and partnership that can help reach out to communities and their leaders. The foundation emphasizes involving local government leaders so that communities may benefit from improved leadership capabilities in an ethical and progressive environment. Glenn is the president of Pamilya Muna Pilipinas and is part of Christ Commission Fellowship where he and his wife serve as discipleship group leaders. 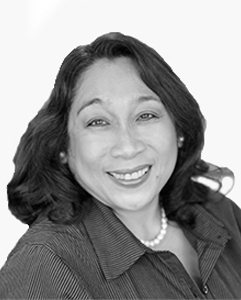 Dr. Grace Sumbillo has over 25 years of experience in the area of Education, Human Resource Management, Organizational Development and Leadership Development. She has also honed her skills as a professor of Educational Administration and other related courses on Organizational Leadership and Management at various educational setting. From the academy, she decided to spend the last few years molding leaders of both non-profit and for-profit organizations through mentoring and relationship building as a Human Resource and Organization Consultant. She has been helping companies in their Organizational Development and Change Management process. 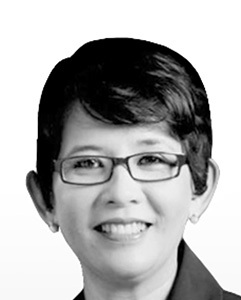 At the same time, she helps business schools in Philippines and abroad develop their values-based Master of Business Administration programs because she believes that business has a three-fold bottom line: profit, people and planet. 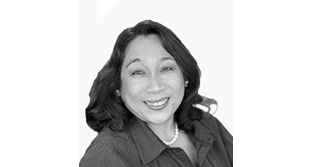 Board Member – Family First Global, Inc.
Dean is the Managing Parter of momenta Philippines. He also heads the solution delivery team, crafting and designing training solutions that are effective, logical and world class. Dean has managed projects and designed training and consulting solutions for mostly MNCs in several countries like Singapore, Malaysia, India, Japan, Hong Kong, Philippines, Indonesia, Vietnam, Myanmar, China, and UAE. His client list includes DBS, Brother, UBS, ANZ, THP, Honour Singapore, UOB, Julius Baer, Credit Suisse, JP Morgan, Bank of Singapore, CIMB, AIA, Sun Life, SCB, Moment, MBL, Axis Bank, Maybank. 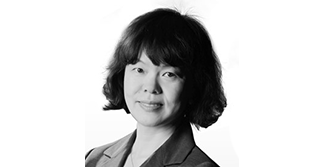 Sandy has held a range of senior business executive roles in Hong Kong and more recently in Beijing. With over 20 years of consulting experience, she has a highly successful track record in leading fundamental change programs, and directing large, complex projects and business operations in a range of environments and industries, especially the software industry and financial services. Her background in leading entrepreneurial companies as well as large multinationals provides her a deep understanding of organisational development and human capital issues. Recent clients she has worked with include: China Construction Bank, Bank of Communications, China Minsheng Bank, Industrial and Commercial Bank of China, China Everbright Bank, China Citic Bank and China Merchants Bank. Sandy has written and published lots of articles on wealth management. She frequently speaks at various industry events and currently serve on the global standards board for professional certification bodies. 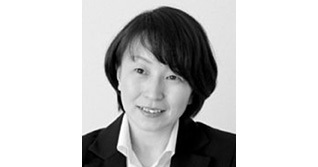 Having worked with an international team, Sandy is very comfortable with teams of diverse backgrounds and experiences. 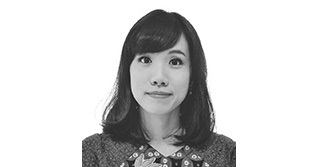 She is fluent in 2 languages (English, Mandarin) and has a working knowledge in US & Singapore. 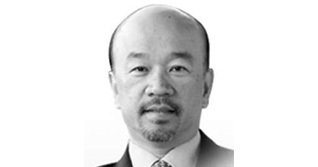 Kevin is the Managing Director of momenta Malaysia. He brings with him almost 20 years of experience in varied industries, ranging from banking, IT, manufacturing and Food & Beverage. He has a strong ability to work cross-culturally. His work portfolio extends across the Asia-Pacific region, to countries such as New Zealand, Thailand, Singapore, Malaysia, Indonesia, Myanmar, Laos, Cambodia, Nepal and others. He grew up in Singapore, lived in New Zealand for 12 years, Thailand for 6 years and now lives in Kuala Lumpur, Malaysia. He has held C-level and director positions in the organizations he’s worked with in past 8 years. Outside of momenta, Kevin is actively involved in the leadership of an international faith-based not-for-profit organization spanning 70 countries. He is a husband and proud father of two girls. Kevin enjoys motorcycle touring and Muay Thai for recreation. Having researched and worked in the diverse markets of Middle East, China, India, Pakistan and South East Asia has enabled Joshini to increase her business acumen greatly. Organizing tasks, corporate conferences and trainings comes naturally to her where she seamlessly juggle multiple tasks at hand. Joshini has excellent communication skills – always eager to know what the client wants and their challenges. Having managed a team for years has made her understand the intricacies of temperaments and the strength of interpersonal skills. 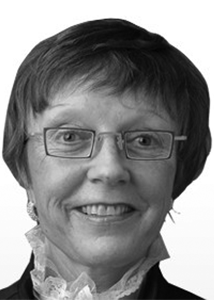 Penny is a senior consultant at momenta. 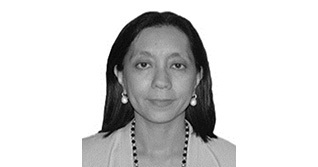 Penny is English but has been in Asia working primarily in banking and financial services for 21 years. 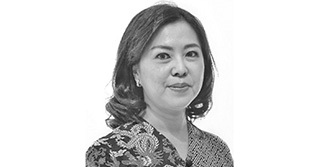 Her banking experience and qualifications she gained in Lloyds UK were the platform to open up an opportunity to work in Singapore in 1995 for Standard Chartered Bank where she took the role of senior investment counsellor for Priority banking and Branch management. This role was primarily a staff developmental channel. The role opened up many avenues. It quickly became apparent that not only did this role involve investment education for clients and personnel but also the imparting of multiple interpersonal and relationship skill sets for all front line staff at multiple levels. The Banks had become sales businesses, therefore Penny started to train and coach the key competencies necessary to harness strong relationship management behaviours which would make a difference to any conversation type, in line with client or stakeholder preferences. She taught strong consultative skills in many formats, whether to a few at a fireside chat, coaching ‘one on one’ in a client meeting, or in workshops and seminars holding 20 to 100 delegates. 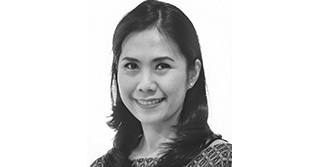 Her role quickly became regional and she spent considerable time educating across Malaysia, Hong Kong, Taiwan, Indonesia, Korea and later was asked to migrate the skills which became culturally aligned to Dubai, Bahrain and London and then the Channel Isles. Penny scopes, designs and executes learning and enjoys seeing others improve on their capabilities. She is a successful toastmaster and puts all her energies in being given a job and ensuring it is done with all her might! She has now worked for many Banking businesses in Citi, ANZ and HSBC. Results-oriented accounting professional with broad experience in a deadline-driven environment. Proven track record in consistently and effectively delivering accounting services that enhance the company’s purpose. Karen provides support by liaising with overseas partner universities and training providers as well as assisting the accounts department. She performs administrative roles such as coordinating with various government entities for corporate governance requirements and trademark matters. 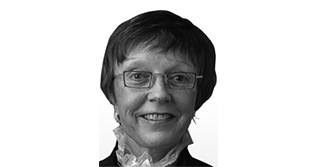 Karen is also in-charge of membership and certification administration in 5 global professional standards and certification bodies – the American Academy of Financial Management (AAFM), the American Academy of Project Management (AAPM), the Institute of Certified eCommerce Consultants (ICECC), International Management Consultants Board (IMCB) and International Society of Financial Professionals (ISOFP). Kath has more than 8 years experience as Sales Consultant and providing end-to-end people development solutions for her clients. 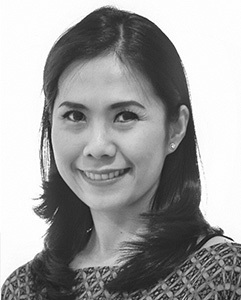 In her current role as Head of Sales in momenta Indonesia, she enjoys meeting new clients for some consultative discussions as well as building and maintaining healthy, long term relationship. She also manages a small team of sales consultants in achieving organization goals. She has been involved in various projects related to Human Capital Function such as Leadership Development Program, Career Management and Succession Plan, Recruitment Tools, Talent Management, Soft Skills Training and Team Building. 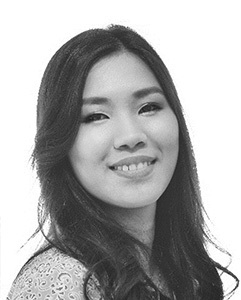 Prior to joining momenta, Kath was Head of Client Relation in NBO – Thomas International. She managed her team successfully with the dynamic combination of ‘hunter’ and ‘farmer’, and brought her team and clients to the next level. She was a Certified Assistant Trainer of Nelson Buchanan Oostergard (The NBO Group), and also Certified Practitioner of Personal Profile Analysis (DISC), Certified Emotional Intelligence (EQ) of Thomas International. Even tough her academic background is not related to Human Capital Function or People Development, she found her passion in this area. Based on her experiences, she observed that high-performing companies are those that invest in their people. Therefore, she is committed to continue in providing consultations and solutions to many organizations particularly in the field of talent management and people development for the organizations growth and sustainability. Certified Practitioner of Thomas PPA (DISC) – Thomas International from UK. 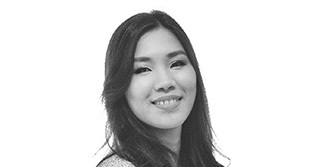 Nopiria is an Account Manager who has more than 5 years experience in the banking world in the Marketing field. 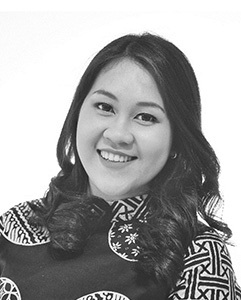 She completed an Undergraduate Degree in Accounting at one of the private universities in Jakarta. After graduating, she worked in the Audit and Accounting field but did not find her passion. She then ventured into the marketing field in the banking industry. She has the spirit to continue learning and developing herself personally and professionally. With her experience working in the banking world for more than 5 years, Nopiria has the determination to serve and help others. Clara is a person who has passion in sales and continuous learning. 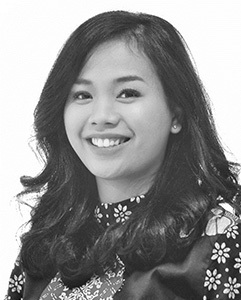 This combination makes her passionate in her job as a Marketing Specialist. 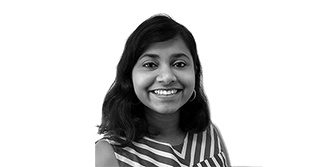 Being in the marketing team of momenta, she is able to articulate her passion and interest in helping to meet the needs of the client. Clara believes in the spirit of persistence. Although she is still very young. she has the potential to be great in marketing. 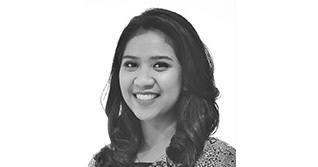 Juwita is one of the staff who works in the fields of Finance and Accounting. 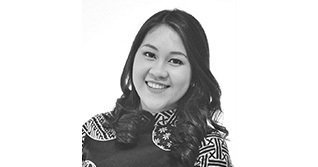 She completed a Bachelor Degree in Accounting Department at one of the Private Universities in Jakarta and has 3 years work experience in her field. High enthusiasm to study Finance and Accounting became her motivation to continue learning. As Accounting and Taxation are an integral part of her work, she became interested in studying the field of taxation. 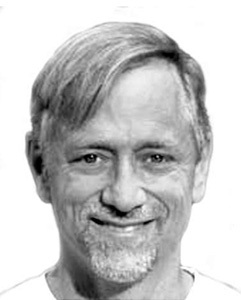 Alfeus has 2 years of organizational experience in the field of Career & Spirituality while studying where he was entrusted as a Leader and had to carry out work programs related to the welfare of the surrounding community and welfare of the four units of spiritual activities supported (Islam, Christianity, Hinduism & Buddha). The opportunity given to him and responsibilities he handled made him change significantly from being passive to being a man of action. The experience during the lecture that he brought when he became a leader and then applied in the real world while working was not easy. Alfeus uses his knowledge and expertise to develop his potential. 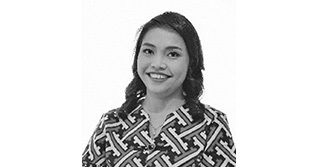 Fani is an energetic and motivated person who is highly organized and skilled at balancing the needs of client in both personal and professional capacities. Fani likes to oversee the planning, implementation and tracking of a specific project from the beginning to end. Other than that, Fani likes to build relationships with people, is willing to learn and loves to grow herself with accepting new challenges. Ellen is one of the Operational Staff in charge of leading and overseeing the production process to conform toward company standards. Ellen completed her Bachelor of Economics degree at Krida Wacana Christian University in 2015. 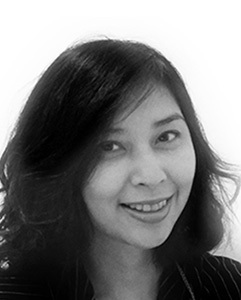 She has been working at Momenta Indonesia since April 2015. During her college years, Ellen was entrusted a leadership role in Choir where she had 2 years organizational experience. This opportunity taught her how to be a good leader which she was able to apply to her job now. She used this knowledge to develop her potential in the work place. 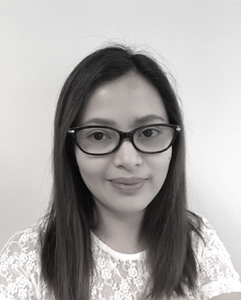 Yessica is one of the Operations Staff, as a Client Engagement Executive. With her hospitable nature, she can help clients meet their needs. Every project is done systematically and with precision. She joined PT. momenta as a fresh graduate. She is very happy to learn and is open to new things to develop herself. Speaking thirteen languages between them, our trainers all have a business mindset influenced by both global and regional exposures. They are physically based in the various countries where we operate. Each has the experience and understanding of local practices and cultures to deliver our learning journeys in the context of the country concerned. They are also able to contextualize the courses they deliver to suit specific industries, job functions and expertise. Adrian’s areas of specialties are executive coaching & organizational change management for leaders who need to compete in an increasingly global working environment. 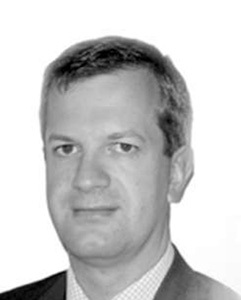 Adrian has used his bi-cultural / bi-lingual background in a range of multinational organizations. Adrian has lead executive planning/problem resolution initiatives to help define organizational vision, corporate values, results & performance indicators so as to achieve mid to long term objectives. Most importantly, Adrian success lies in providing sustainable structure which helps facilitate commitment & alignment towards strategic objectives. 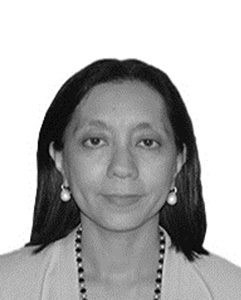 Antoinette is a Senior Consultant of momenta. With over 20 years of international experience in learning, development and organizational development, working in Malaysia, UAE, ME and Singapore. She is a Certified Co-Active Coach, a program accredited by the International Coaching Federation. 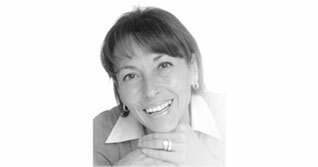 Antoinette has coached a range of leaders, from Senior Executives to High Potential Managers. In addition, she is a facilitator who has worked with a variety of organizations to design and develop bespoke programs and facilitate learning from leadership development to behavioral and technical skills training. She has worked towards building coaching skills and a coaching culture within organizations. Her most recent projects included coach training and development while working in Emirates Cabin Crew Leadership Training and with Dubai Electricity and Water Authority (DEWA) training and coaching UAE nationals as assessors. Antoinette is currently developing learning content for leadership programs and online learning platform Axonify. 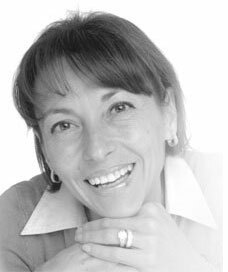 Antoinette is an accredited Enneagram practitioner using the Enneagram tool to help people understand core motivations and work towards integration. 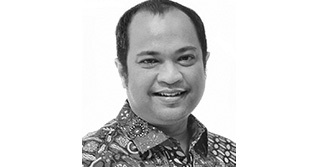 Arief had combined sales and learning experiences during his career in banking Industries. Most of career with retail sales department and human capital in foreign banks. 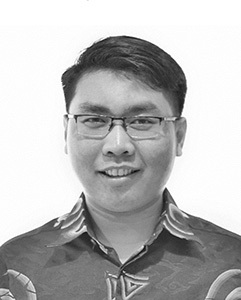 Arief’s passion is in training and business development, his expertise in managing sales troops, and develop cross selling program in personal financial services bring him to become trainer and lead learning department. 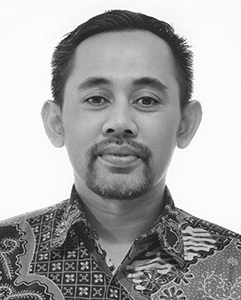 For more than 12 years, contributing in Sales and Learning division has given Arief wide spectrum in understanding business and talent development culture. 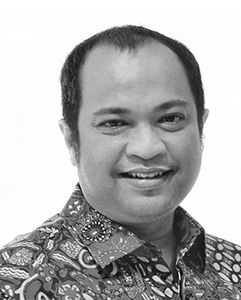 Before entering his professional career as a banker and trainer, Arief was a radio broadcaster then a radio station manager. Till today, he still gets invited as a guest announcer for an excellent and inspiring leadership show in one of the private radio stations in Sumatera Region. 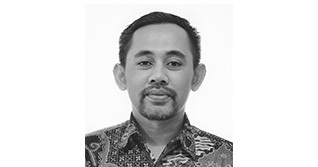 Bambang is a seasoned banker in various fields; corporate, commercial, and consumer banking; both in lending and funding business, as well as wealth management business with 27 years of banking experience in various positions, such as Relationship Manager, Sales Team Leader, Branch Manager and Board of Director. He also had 3 years experience of marketing and sales in a manufacturing and finance company. After serving as Country Manager for Hilti in Indonesia for three years, Danny has decided to enable others in finding their inner most potential. Danny has prepared several CEOs of multinational and local companies to recognize their blind spots to lead as a role model. The executive coaching relationship with those individuals span over a time of 12 to 24 months. Danny has more than three decades of corporate experience in international companies like ARCO, Carl Zeiss, ABB, Hilti, Action Coach, Franklin Covey, and Kelly Services, mainly in sales and senior management positions. He has been living and working for more than 30 years in Indonesia. 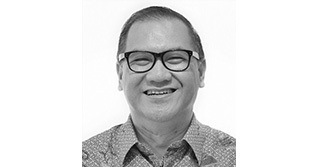 In his last corporate position he was a Director in Kelly Services Indonesia, orchestrating in Business Development. 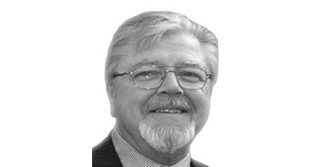 David has worked for more than 25 years, both directly consulting and facilitating senior management programmes as well as managing multi country teams delivering a range of learning services to local & international organisations in many industries, including banking & finance, professional services, resources, and the public sector. His key areas of specialisation are development of strategies to transform organisational culture, training design & delivery, management and leadership coaching and integration of new employees into companies. 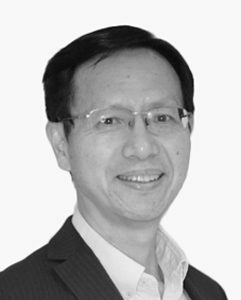 Alongside consulting to several multinational companies, David has worked in a range of senior roles in ANZ Banking Group including Head of Learning for ANZ Singapore, Global Head of Facilitation and as a Strategic Consultant within the renowned Breakout program of cultural change at ANZ. 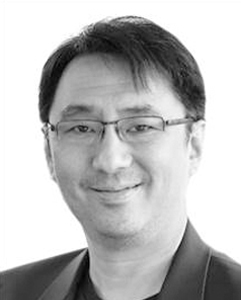 He has extensive experience working with a broad cultural mix of clients, having worked in Australia, Cambodia, China, Hong Kong, Singapore, Fiji, Germany, India, Laos, Myanmar, New Zealand, Philippines, Taiwan, Thailand, UK, USA, Vietnam & Vanuatu, as well as with remote teams who are geographically spread throughout the Asia-Pacific region. David is a highly engaging facilitator who effectively captures the interest of diverse audiences enabling them to see themselves & others through new eyes leading to positive behavioural change. He is passionate about building capability & confidence, and understands the importance of aligning HR strategy to key business drivers & imperatives. 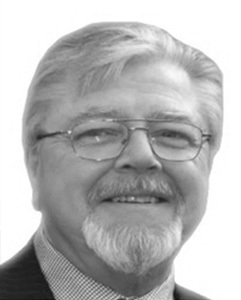 David has been consulting and facilitating solutions for a broad spectrum of businesses, organisations and government departments for over 25 years. His reputation and work have taken him across Europe, the Gulf, Africa, USA, and Asian countries, which remain his favourite. Working with Sir John Whitmore, late President of the ICF, David produced the video ‘Coaching for Improved Performance’, which won 1st prize in the UK National Training Awards from over 50,000 entries and played a significant role in bringing the GROW coaching model into the public domain. David’s motivational and facilitative coaching style – drawing the best from learners – coupled with some humour and a wealth of experience, leave lasting results with learners and clients. 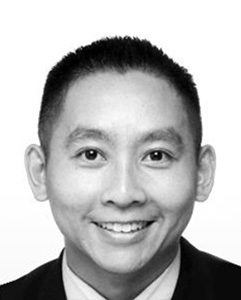 David and his partner were sole Human Resource Development Consultants for Allianz Asia Pacific for 5 years during its expansion period, covering recruitment, development and assessment of talent pools, managers and senior leaders. They co-authored ‘A Practical Guide to Understanding & Applying Competencies’ / ‘A Competency-Based Approach to Learning & Development’, published in the Financial Times Management Series. David’s first career was in UK Financial Services, where successful results led to his role as Group Sales Training Manager, then Organisational/Culture Change, Leadership and his responsibility for people and performance development across 12 subsidiary companies. David designed and led a Level 7 ‘Strategic Management & Leadership’ programme for the UK’s Chartered Management Institute, used many times particularly for Developing Future Leaders in the Gulf. Debdip is an extremely dynamic professional having 28 years of progressive experience in Sales, Training & People Development. With Training delivery experience of 14000 hrs plus. He has effectively facilitated Trainings in industries like Banking & Financial Services Industry, Mobile Application , Pharma (OTC), Retail Apparel, Fast Moving Consumer Goods, Wooden Laminates, Lifestyle Accessories, School (Life Skill Training), Engineering College, Business School & NGO (for Trafficked Girls). Debdip has a deep passion for developing people which brought him into the world of Training 12 years back when he developed an office security guard into a Mutual Fund Expert in 6 months time. He has worked across the length & breath of India handling a large & diversified Team in Sales & Training. Has deep insight in setting up business distribution , man management, people development across various rank & profile. Debdip is an avid reader and listens to music in his spare time. Knows two foreign languages namely Russian & Japanese. He was actively involved in sports like Cricket & Rowing under the school/college/Office Team. Senior trainers with more than 17 years in the financial industry with special expertise in Sales and Sales Leadership areas. She graduated with a Bachelor Degree majoring in Management. She has a comprehensive knowledge and understanding of sales business procedures and also has hands-on experience in leading a sales team. With her background in sales and leadership, Devi brings to life the workshop that she delivers by combining real life experiences and proven concept in sales and leadership. Edward is an accredited Senior Human Resources Professional (SHRP), a Software Engineer by training and a HR professional by passion. Edward brings with himself more than 15 years of corporate experience, holding various senior positions and being a part of various MNCs and GLC. He has over 10 years of consulting and training experience, where he has successfully led change programs, directing large, complex projects and business operations in a range of environments and industries, including IT, consumer products, pharmaceutical, petrol-chemical, auditing and manufacturing industries. 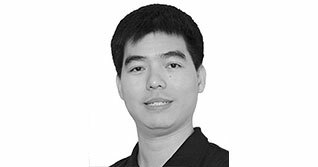 Having extensive experience working with all countries throughout Asia Pacific, Edward is very comfortable with teams of diverse backgrounds and experiences. 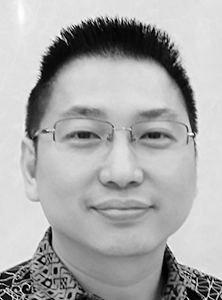 Coming from a multi-cultural background, he is fluent and is able to facilitate programs in three languages – English, Mandarin and Cantonese. He loves music and plays the piano, guitar, organ and drums. He enjoys spending time with his family and is an advocator for active and involved Fathering. Emmanuel is a trainer, facilitator and coach with over 20 years of experience in the financial industry. Emmanuel has over 20 years of experience in the financial industry, with a proven track record in management and leadership, building new businesses, attracting and retaining talent, bringing landmark transactions to execution and managing through fast changing environments. Throughout his career he built up new businesses, conducted 1000s of clients meetings and 100s of internal and external seminars. He is passionate about talent development and helping others reach peak performance. His particular areas of interests are: executive coaching, sales and negotiation skills, managing through change, leadership and business development and communicating effectively. 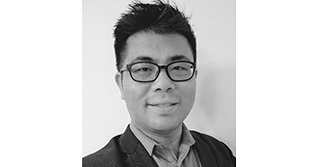 Prior to joining momenta, Emmanuel was most recently a Managing Director and Head of the Risk Solutions Group for Asia ex-Japan at Nomura, where he was responsible for the strategy and development of the solutions business for Investment Banking/private side clients. 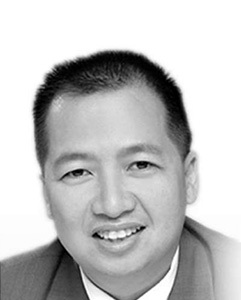 Prior to this, Emmanuel was a Managing Director and Head of FX & Indices Structuring Asia ex-Japan at Nomura, where he grew the business for structured FX products from a PnL of ~USD 5mio in 2009 to a diversified franchise of USD 70mio by 2015, having developed a team widely recognized by competitors as one of the best in the market. 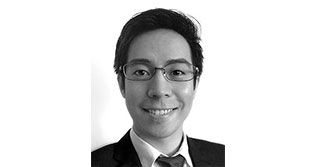 Before joining Nomura, Emmanuel was a Director at Merrill Lynch, in charge of FX & Rates structuring for South East Asia and a Director and head of FX Structuring Japan at Deutsche Bank Tokyo. Earlier in his career, Emmanuel held several roles at Dresdner Bank – in LatAm Research, FX & Rates Structuring, Sales and Trading. 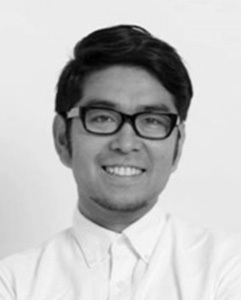 Emmanuel grew up in France, before pursuing his higher education and career in Spain, UK, Japan and Singapore. He is fluent in English, French and Spanish. 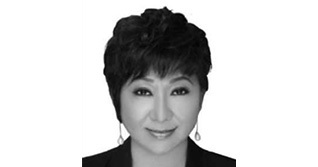 Foong Sin is the Principal Consultant of YFS Consulting, the company that she founded with the mission to increase the professionalism of the sales force through a structured impact training programs, systems, and enhancing the learning processes. She is an accomplished training consultant. 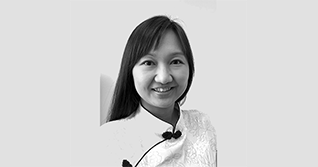 Over the last 14 years, she has worked with numerous clients across Asia and ethnicity on various learning and change initiatives to achieve business objectives. She is also a passionate trainer, having trained thousands of audiences in sales advisory, sales management, leadership, presentation skills, TTT (Train The Trainers), NLP, communications and motivational training, customer service and goal-setting workshops. 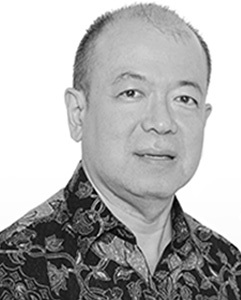 Foong Sin is a certified facilitator for “Endless Referrals System”, by Mr. Bob Burg, an internationally acclaimed speaker and the creator of Endless Referrals System. 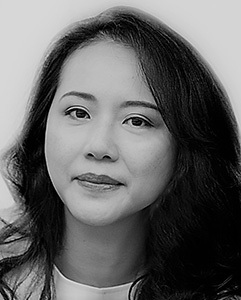 Ms. Yu is the co-author of the national best-selling investment book “The Secrets of Intelligent Investing” which was released in 2008 in Malaysia and Singapore. She is passionate about her own personal development as well as others. 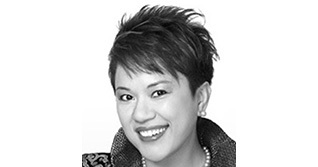 Francisca has extensive banking experiences across functions in Corporate and Retail Banking. Her first career was with Citibank as a Management Associate and afterward she was assigned to the Debt Restructuring Group managing bad debt portfolio and negotiating terms with Debtors. In the later years, she had held some other roles such as Relationship Manager, Product Sales, and Segment Marketing Team Head. She also had worked briefly as a Fund Manager in an Asset Management Company and was given additional role to conduct training for the sales people on how to sell Mutual Funds products. 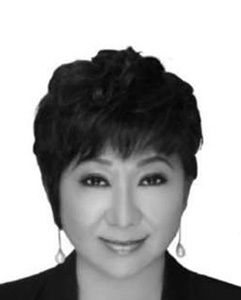 During the last few years of her banking career, she had played an active role in the development of Supply Chain Financing and Warehouse Financing and did several presentations to bank’s clients and their suppliers to achieve high participation in the program. 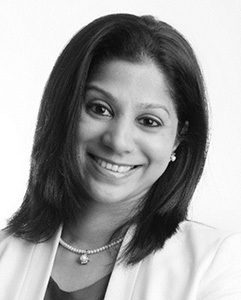 Gayatri has over 30 years Banking experience between India and Singapore with more than 20 years in Private Banking. She started out as a Management Trainee with ANZ Grindlays Bank in India and went on to set up Private Banking for Deutsche Bank in Calcutta in 1995 and was seconded to Singapore in 1999. 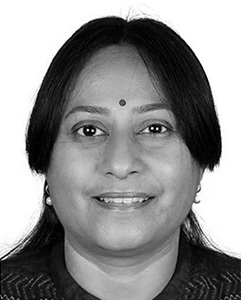 Gayathri subsequently worked with BNP Paribas Private Bank opening up markets like Nepal and Bangladesh and later moved to DBS Bank to set up the Non Resident Indian business in the Priority Treasures Segment In 2005. She moved back into Private Banking within DBS to head a team and also took on some International Business covering Turkey and Greece. After DBS, she continued her career with Bank of Singapore. 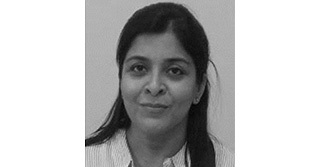 Gayatri is passionate about developing and grooming Private Bankers and has mentored a Dozen Private Bankers during an 11 year tenure with DBS and these Private Bankers are successfully anchored in various Private Banks. She keen on Impact Investing and is exploring partnering with IIX (Impact investing Exchange) and also consulting with a few Family offices. Her hobbies include Yoga and nutrition . 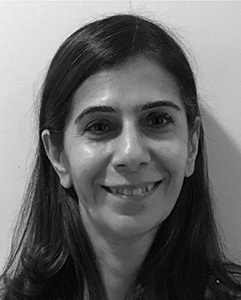 Jasbir is a professional with proven track record in Training, Business Development, Sales, Client Relationship Management, Team Management and Image Management. 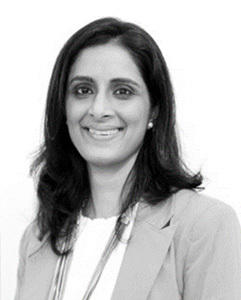 She has 15 years of corporate experience in different verticals like IT, Insurance, Banking and Logistics. She has worked with some of the leading clients in the country imparting training, i.e. BFSI, Real Estate, Travel and Hospitality industry, IT and Education sector etc. to name a few. Her expertise is in Out Bound trainings to facilitate learning and development. As an Image Coach, she also conducts one on one clinics and group workshops to provide an elaborate image makeover, which enhances image and creates a unique Personal Style with the help of Clothing, Grooming, Body Language and Etiquettes. Rev. Kevin Graves is a holder of a Bachelor of Theology and Religion from Goshen College, and a graduate of Elim Bible Institute. He has been a missionary to China with Elim Fellowship in Lima, NY since 1984. 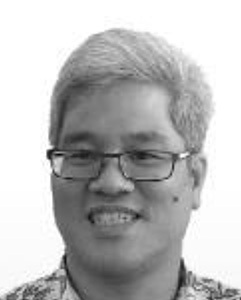 Kevin is fluent in Mandarin and Cantonese and has been a frequent speaker at churches, Bible colleges, and conferences throughout Asia and when he occasionally travels back to America. He has been a guest on Joyce Meyer’s programs, as well as on LESEA and other television networks, and has spoken at churches such as Times Square Church in New York City, Word of Life Christian Center in Honolulu, and the Bethany World Prayer Center in Baton Rouge. Kevin gave the China presentation at the Lausanne Conference on World Evangelism 2004. Kevin has also frequently been involved in teaching and training throughout his years of ministry in China. After being involved in a number of successful church plants, Kevin and his wife Joyce established Target Ministries in 1990 in order to focus on the unreached people groups of SW China. They recently moved to Singapore to be more internationally connected. Since then he has also cofounded Family First Global. Kevin has ministered in 22 nations. 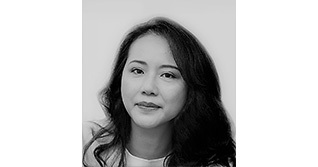 Makiko is a Transformative Life Coach and Expert in Collaborative Communication and Empathic Leadership. She has over 20 years of experience working in international environment, from human resources development to business consultant. As a communication specialist, she serves in various fields such as facilitation, interview, coaching, and writing. She has served several non-profit organizations in the area of sustainability and social change. Her clients include marketing & advertisement companies, manufactures, educational institutes, media, governmental institutes, UN institute, non-profit organizations and individuals. 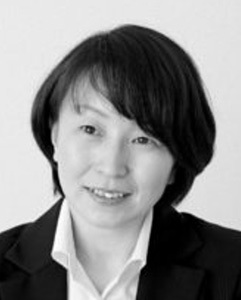 She also works with several international professionals to introduce their work into Japanese market. Mamta is a corporate trainer with almost 9 years of corporate work experience in the Banking and Financial Services Industry (BFSI) – CitiFinancial Consumer Finance, Standard Chartered Bank, Merrill Lynch Wealth Management (now Julius Baer). She feels privileged to have received the opportunity to touch the lives of thousands of students, professionals, entrepreneurs and employees through regular trainings at various institutes and organisations across India. She enjoys taking sessions on various aspects of ABC – Appearance, Behaviour and Communication enabling people to discover their inner strengths, believe in their abilities and evolve, empowered to portray their best self! She is a fun-loving person and is easily able to build rapport and make friends with people from varied backgrounds and all age groups. She firmly believes that we create our own destiny by our thoughts, words and actions. She enjoys reading, meeting people and spreading positivity wherever she goes! 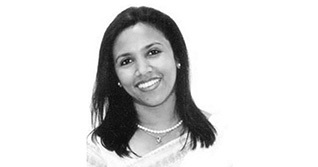 Manjula has over 20 years of total work experience in Business Consulting , Training and Development and Corporate. 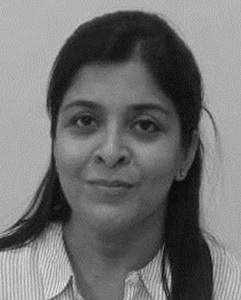 She started her career at Citibank NA in the Retail Bank, Mumbai and worked in the Credit Cards Division handling credit processes and managing direct sales agents and Branch Banking where she has managed Service and Quality for the branches as the Customer Relationship Head and also handled Sales in banking and third-party products via the service platform across various customer profiles. 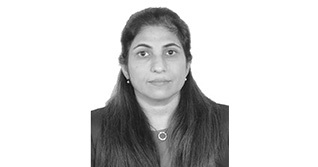 As a Training Consultant she has handled Behavioral, Skill-based and Leadership interventions including Content design, Delivery and Coaching for various industries such as Banking and Financial Services, Manufacturing, Telecom, Real Estate and Housing, Technology , Textile and Garments, to name a few, across various levels. As a Business Consultant she has done extensive work in Customer Experience which includes Service and Process Audits, Building Customer Communication across Customer Journeys, Customer Insights and building Custom Experience platforms for Start-ups including capability development. 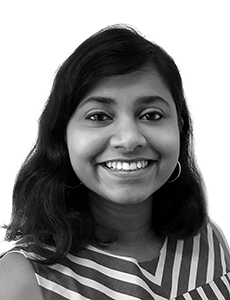 Manjula is extremely passionate about seeing a change in the people she works with and unleashing their full potential for the benefit to the organization and development of themselves through powerful interventions. Manjula is very fond of reading and is a travel enthusiast. 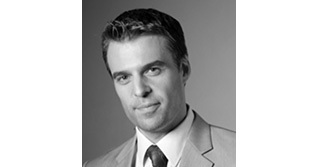 Mark Zagrodnik is a Leadership expert with more than 25 years of International Business Management experience. He has held various key Director roles with extensive involvement in consultative sales development and final sales closings. Starting his career at George Cohen Far East Singapore, Mark developed the sales and marketing program for distribution of vehicles and machinery into Singapore, Malaysia and Indonesia. Subsequently Mark joined Haworth Pte Ltd as the Country Manager where he developed green-field market introduction and presence throughout India. He established brand awareness and product confidence through relationships with end users and selected third parties. 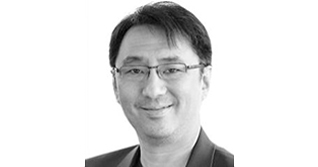 Moving back to Singapore as the Managing Director of Steelcase Office Solutions, Mark redesigned the Singapore operations and re-established the company’s predominant value add position. As one of the youngest Managing Directors of a Fortune 500 company, his role included overseeing and driving all sales and marketing efforts, personally closing deals of over million dollars. With proven sales and marketing track record, Mark brings his knowledge in sales, negotiations, business development and customer relationship building to the training room. Coupled with his passion to lead and motivate, Mark is a much sought-after trainer in the areas of Leadership and Sales. 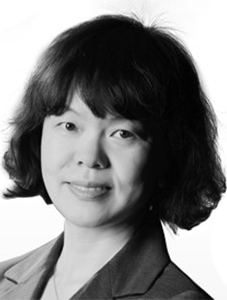 Masa Fujino is an international facilitator and trainer specializing in leadership and management programs, communication programs, as well those programs that incorporates cross cultural communication skills. With over 25 years of experience, he has conducted training classes in Leadership and Management, Communication Skills, Conflict Resolution, Diversity, as well as company-specific off-site programs for topics such as leadership, conflict resolution and organizational change. 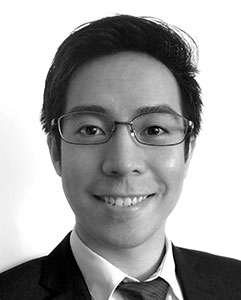 Educated in Japan and the U.S. schools, Masa graduated from the University of Arizona majoring in Psychology, with further graduate work in Educational Psychology. In addition to his extensive Training & Development career, he is experienced in the 360 Feedback tool and Personal Profile System. 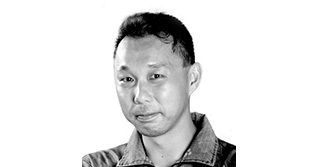 He is fluent in English and Japanese and conducts training sessions in both languages. Managing Director – Learning & Development Solutions – company involved in training, facilitating and education. Learning & Development Officer – ACE Insurance Japan, a global Non-life insurance company. 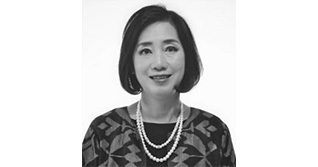 Director of Human Resources – Grand Hyatt Tokyo, opened the luxury hotel in Tokyo in 2003. Innovation & Change– From off-site workshops for company mergers and culture change to Division specific topics. Leadership & Management – Various Leadership and Management courses from Director Level staff to entry-level managers. Diversity & Communication – training and facilitation sessions from the new hire (university grads) to senior management level staff. Maxine is a tri-lingual corporate trainer, facilitator and speaker with a passion for colorfully impacting and inspiring lives™ . 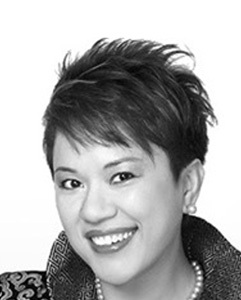 With over 20 years of training experience working with diverse teams across Asia, Maxine has a knack of turning complicated concepts into practical and highly engaging learning applications. She is one of the most prolific trainers in Asia, having successfully completed more than 1000 days of trainings over 30 cities around the world. 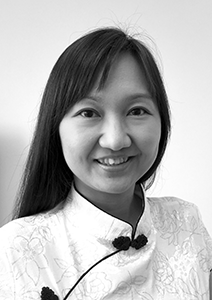 Maxine is fluent in spoken and written English, Mandarin and Cantonese and she delivers her solutions in the three languages seamlessly to help her clients achieve their highest level of understanding. Maxine’s domain topic as a keynote speaker is “Connecting in a multi-generational workforce”, helping to bridge the various generations within any audience and workforce. 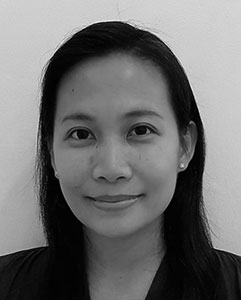 A leading educational institution in Singapore has awarded Maxine with the coveted title of Trainer of the Year in 2013 and 2014, and the “Star Trainer 2015” in recognition of her excellent training delivery. What further sets Maxine apart from most trainers in the industry is her ability to connect with her audience instantly with her authenticity and personal energetic style! 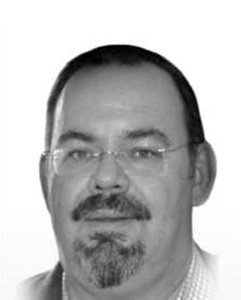 Michael has over 20 years’ experience in financial services (16 years in Asia) focusing on strategies to build client base, increase sales, profitability and customer loyalty. 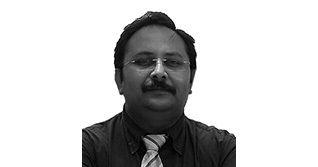 He has extensive knowledge in product, sales design, recruitment and distribution optimization. 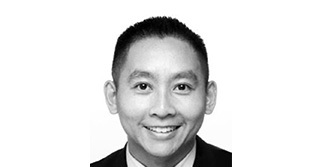 He has worked at Citibank (Sydney), HSBC (Hong Kong) and now as consultant and trainer. His strategy and advisory work has been built on his various roles at HSBC including business development – designing new products; building sales infrastructure – and his distribution roles covering operations, IT and marketing. Michael is a speaker at industry events and is a regular Masterclass lecturer. He has advised several financial institutions on strategy and implementation in Wealth Management, sales and retail banking. 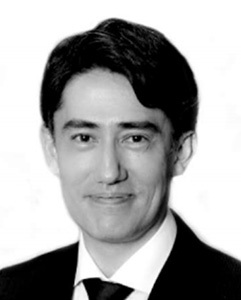 He is a contributing author of the book ‘Bank 2.0’ How Customer Behaviour and Technology will Change the Future of Financial Services and has published work covering Private Banking and sales effectiveness in Asia. Michael has a strong cross-cultural background having worked across Asia, the Middle East and Europe in both corporate and consulting/training roles. Wealth Management – Mass Market to Private Banking, segmentation, proposition development, product, Sales. 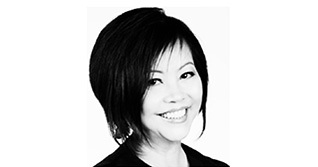 Pang Li Kin is an international speaker, trainer, author and coach. Li Kin has a wealth of experience in marketing, business development, client servicing, image and communications training and consultancy. 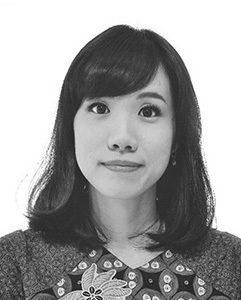 Her corporate experience includes The Straits Times, F&N, and Nielsen where she last held the position of Executive Director in an Asia-pacific role in Customer Satisfaction Management. 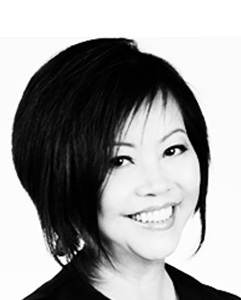 Since making the switch to Image and Communications Consulting in the last 16 years, Li Kin has established international recognition in the industry, having trained and spoken at local and international conferences. Her global experience spans over 20 countries worldwide, and include Australia, China, Europe, Hong Kong, India, Korea, Taiwan, Thailand, Tokyo, Malaysia and the USA. She currently works with clients in the corporate and professional sectors, helping them to aspire to greater heights and achieve their vision & goals. Her approach is multi-faceted and includes personality assessment, coaching, facilitation, and workshops to engage and empower her clients. 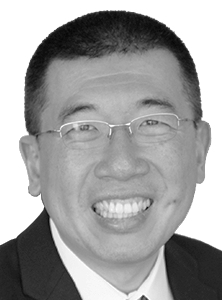 Li Kin is also author of “Professional Image: Your Roadmap to Success”, “Creative Tools for Image Trainers”, and contributing author to two business books, “88 Essential Secrets to Achieving Greater Success” and “365 Success”. 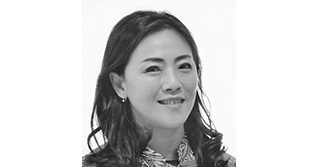 Li Kin also gives back to the industry and community as Past President of the AICI Singapore Chapter (2010-2013), having served on the Board for a total of 7 years. She is also founder of a local charity Image Mission Ltd and Dress for Success Singapore, helping to empower women to achieve economic independence. Patricia brings over 25 years of experience as a Banking Practitioner with specialty in Priority Banking and Wealth Management. As a Banking Practitioner, Patricia brings a wealth of knowledge and experience either in consulting, training or coaching. Being a Branch Manager in Banking Sector makes Patricia a sought after Subject Matter Expert in Sales Leadership and also in how to build a profitable branch. Right now, after retiring from the bank, Patricia devoted her time in helping the next generation in becoming “world-class” bankers. 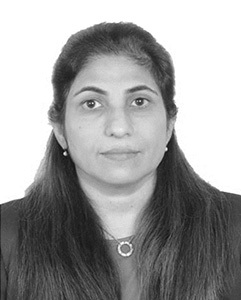 R Shashikala is an accomplished business professional with an engineering industry background of more than 25 years. Her experience in leading teams to deliver products and services on a time bound schedule has given her an insight into human motivation and behavior. Shashikala works with organizations, schools, and groups by providing customized workshops and seminars in the areas of life skills, business skills and personal branding solutions. Through training and one-on-one consultations, she partners with clients to take actions for achieving their personal and professional goals. She is also passionate about women leadership development. She feels that even when women are present during discussions and decision-making, women’s ideas are often left unsaid or unheard. Shashikala conducts women leadership workshops to enable participants to explore the leadership traits they most admire and discover strategies that work best for them. To bridge the gap between industry and academia, Shashikala conducts employability skills workshops for graduates. Shashikala is also experienced at conducting personal effectiveness sessions for professionals and management, develops SME leaders for the engineering industry and grooms them for the next level of leadership. 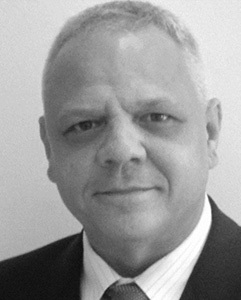 Randell is the Managing Director of eggshell International, a strategic partner of momenta. Eggshell International delivers training solutions to corporate and government agencies in the areas of personal safety tactics and threat response solutions. Randell is also the Lead Trainer for eXiLe Solutions which delivers corporate team-building and specialises in running workplan retreats and envisioning exercises. Prior to eggshell/eXiLe, Randell was involved in education and training and his last position was as a senior education officer overseeing public engagement for character and citizenship at MOE. Randell is often engaged by schools, government ministries / statutory boards and SMEs to craft customised leadership workshops for their middle-management and/or operations teams. Effectively bilingual in both English and Mandarin, Randell is constantly developing new professional and personal networks of influence in China. After long sessions running hands-on personal defence training or corporate retreats, he can be found in remote mountains villages in China, recuperating and learning from wise old Kung Fu masters. Managing Director (current) – eggshell International, a training and consultancy company specialising in personal safety, defence tactics and threat response solutions. Lead Trainer (current) – eXiLe Solutions, a company that designs bespoke team-building and leadership programs for corporate and government clients. Specialising in designing and conducting of Workplan Retreats and Envisioning Exercises. Head-National Education (2011-2014) – Character & Citizenship Education Branch, MOE Oversee and manage team of policy officers to design, implement and evaluation the various engagement channels for delivery of character and citizenship education within the total curriculum of Singapore schools. Leadership – Design Leadership Competency Assessments, Design and Implement Train-the-trainer Programs. Safety and Personal Defence – Accredited training credentials in recognised combative / personal defence systems. Active and current member of the National Registry of Coaches. Civil Service: Facilitate organisational restructuring, implement system wide changes, chair/lead inter-ministry work teams. Oversee in-service professional development roadmaps, validate and assess institutional best practices. Leadership Development: Host and facilitate Workplan Seminars and Envisioning Exercises for Top Management. Design and deliver training content for Middle-Managers in Government/Corporate organisations. Coaching: Provide coaching curriculum development and coach development programs for various national sporting associations. 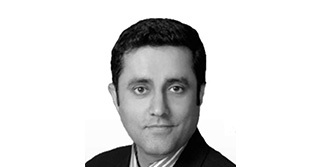 Ravi Sahi is a leading global expert in project, program and portfolio management. 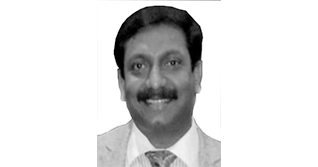 He has more than two decades of experience in consulting, designing and implementing organizational performance improvement solutions to clients across a wide range of industries. His clients have benefited from his broad range of experience and insights developed through his years of work as a management consultant. His expertise also includes facilitation of high-level strategy development sessions and working with clients to translate their organizational strategy into action. The clients Ravi has worked with include global leaders like JP Morgan, Asia Pacific Breweries, Credit Suisse, HSBC, BNP Paribas, BP, Shell, Petronas Malaysia, PepsiCo, Singapore Stock Exchange and many more Fortune 100 firms. A notable multi-year complex program that Ravi helped facilitate and plan was a massive digitization effort by a local National Library. Ravi has held a range of different positions, at highly-regarded companies as Capgemini Consulting, Booz Allen Hamilton and Sembawang Corporation. Ravi holds a bachelor’s and an MBA, both from Loyola Marymount University, Los Angeles, and is a Stanford Certified Project Manager (SCPM). 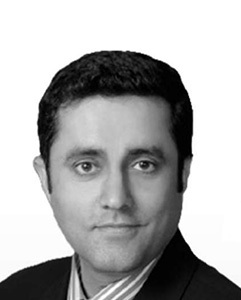 Ravi is also a well-known keynote speaker at many leading project management conferences. Reto is in the business of helping bankers to make more business by assisting them in understanding and developing their client interaction skills. He has been based in Hong Kong since 2007. In 1992, Reto started his career as a relationship manager with Credit Suisse in Switzerland, predominantly serving German off-shore clients. 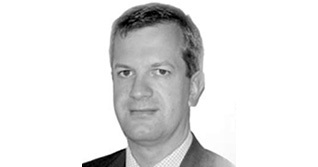 During his 23-year tenure at Credit Suisse, he held a variety of positions in Private and in Retail Banking, most notably as project manager, sales manager electronic banking products Eastern Switzerland, team leader Private Banking and starting in 2003 as Senior Specialist Training and Development. He worked in different places in Switzerland and in Toronto, Canada. In 2007, Reto relocated to Hong Kong, taking on responsibility for the training and development initiatives for the Private Bankers in Hong Kong. In 2015, Reto set up his own company, specialising in training, coaching and consulting within the financial industry across Asia. Overall, he has delivered close to 1,000 training days on 5 continents, working with roughly 6,000 banking professionals. He has extensive experience in communications skills training, sales training, combination of technical and soft skills training, as well as leadership development. He is well known for his highly engaging training style, based on the motto ‘telling is not training’. Reto is passionate about photography, cooking and music. 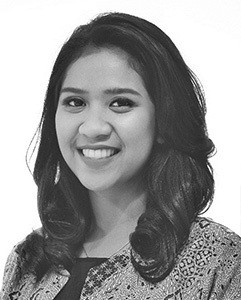 Riza, who is more familiar as Kang Ija is a graduate of the Master of Management from Universitas Indonesia. His strong interest in modern psychology prompted him to get certified as a Licensed Practitioner of Neurolinguistics. In addition to that, he also received certifications in DISC behavioral analysis and Handwriting analysis (graphology). 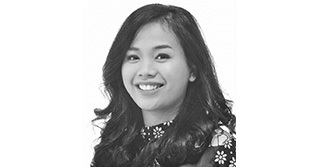 As Professional, Riza has more than 10 years in the world of sales and banking. 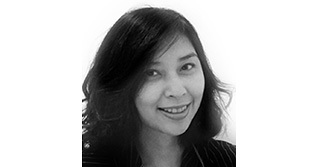 Rizka brings to the organization over 23 years of experience in a banking industry. 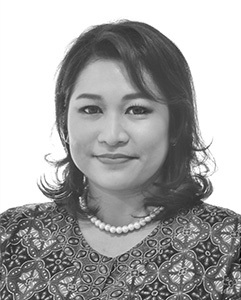 Rizka’s expertise is focused on wealth management, investment & bancassurance, team management, sales and product development in the banking industry. 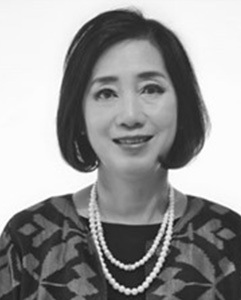 She has held managerial positions in major and highly reputable banks such as, Citibank, ABN-Amro Bank, HSBC and Bank Danamon, and effectively supervised priority banking team, branch office, and develop long term contact and relationship with potential and existing clients. She has a natural talent for public speaking, a motivational leader with passion to share knowledge and experience and to groom others. She is a goal-oriented individual. 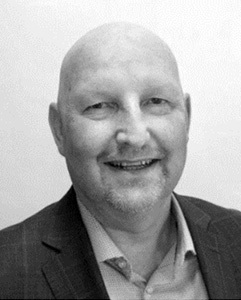 For nearly 20 years, Roy has been a principal consultant, head facilitator, executive coach and master trainer. A prominent speaker, he has addressed more than 100,000 delegates and facilitated above 15,000 hours of learning programs internationally. 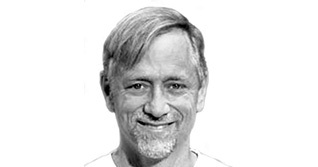 As a consultant, Roy has facilitated thousands of programs with delegates from different continents. His audiences include representatives from the SMEs, multinational companies and listed companies. Roy has provided training to delegates from well over 500 companies. Roy’s experiential, activity-based & action learning programs are highly recommended and endorsed by past participants as well as sponsors! The feedback received has consistently referred to the sessions being interesting, engaging, practical, humorous, entertaining, fun-loving – and effective. Whether it is for a small group of 6 or a large audience of 1,000, Roy’s presentations are always delivered with total commitment. Extensively involved in trainers’ training & facilitation programmes since 2003, Roy was instrumental in several training frameworks and served on different guiding and validation committees. Roy had also been involved in the initialization of Trainers Networks, Communities of Practice and Special Interest Groups for the Training & Facilitation Practice. 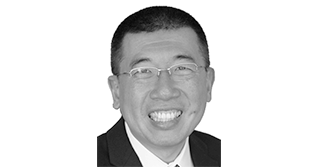 Roy was a validation community member for the National Competency Standard of both the Advanced Certificate in Training & Assessment (ACTA) and the Diploma in Adult Continuing Education (DACE) with the Singapore Workforce Development Agency (WDA). 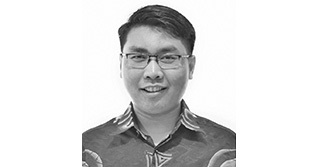 He was the Guiding Committee member of the Community of Practice Competency Based Assessment of the Singapore Training and Development Association (STADA) and Vice-Chaired the Special Interest Group Facilitation with the Adult Education Network (AEN). 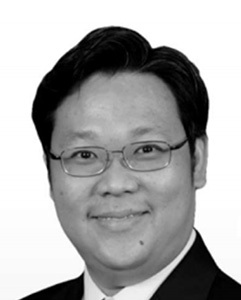 Roy currently serves as a management committee member of the Singapore Training and Development Association (STADA). As a pioneer of the national training framework, Roy played the key roles of an educator, developer, facilitator, coach, assessor and supervisor. Roy had been a vivid trainer & Assessor of the ACTA and DACE course offered by WDA with the Singapore Institute of Management (SIM) and the Institute For Adult Learning (IAL) since 2006. Prior to turning practicing consultant, Roy held positions of General Manager and Country Manager of multinational public-listed companies in several countries. He was historically involved in general management, training and development, channel management, customer service, human resource and business development. These richly varied experiences have endowed him with the ability to engage with and relate to people from different cultural backgrounds. Shaina is a Corporate Training expert with over 20 years of award winning experience in managing sales teams. In a corporate experience which spans over 15 years with Citibank N.A., she has managed Pan-India teams that engaged with affluent customers. She was the Sales Director for the Bank’s Pan-India Phone based Sales business and the Service Manager for Assets and Insurance Business. She has trained over 6500 participants and has facilitated over 400 sessions on Sales, Service, Leadership and more. Her training experience extends to sectors like Banking and Investment, Insurance, FMCG,BPO, IT, Hospitality, Telecommunication, Luxury, Consultancy, Manufacturing, Printing, Infrastructure and Educational Institutions etc. Shaina has partnered with various Corporates, conducted several Classroom and Outbound sessions and continues to make a positive difference in participants’ lives. She enjoys supporting people in their development through training and inspiring people to do their best and step out of their perceived limits. A strong believer in a flexible style of training that is interactive & characterized by activities coupled with a hard business edge, and an emphasis on the practical application of skills. Post-graduate in Public Relations – Bhartiya Vidya Bhawan, New Delhi- India. Certification in Image Consulting – ICBI (Counselle, USA affiliate), New Delhi, India. Certified in Emotional Skills Assessment Process ( ESAP) – Through EI learning systems USA (2018). Certified in Life & business Coaching ( 2017) – From Value Coaching- Accredited to International Coach Federation (2017). Assistant Vice President – Citibank N.A. 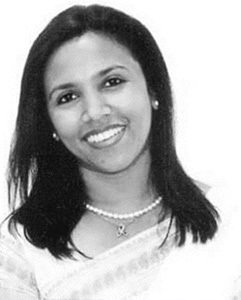 Siji is a TEDx speaker & is an International Behavioural facilitator and Coach. 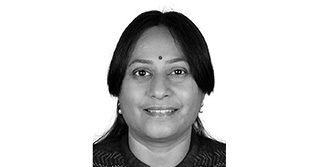 She has to her credit over 22 years of Corporate Experience in the Marketing, Finance and the L&D domain, and has been associated with organizations like ICICI Bank, Ajanta Pharma, Birla Sun life Insurance and Max New York Life in India. Training came naturally to this passionpreneur who has achieved competence in several areas of life and believes in empowering Individuals by helping them get what they want. She has spoken on various prestigious platforms across India & internationally in Doha & Sri Lanka, including the most coveted TED platform as a TEDx Speaker. She is a highly committed and positive person, and also a Student of Life. She has conducted 600+ workshops with 17,000+ participants across the country. She has imparted trainings to several organizations and also to internationally affiliated chapters and clubs on Leadership and People Management skills. Siji is currently involved as a principal consultant to a couple of organizations to measure the ROI in training & development. Her hobbies include travelling to less known places, tasting local cuisines across the globe and storytelling. Sri is a Human Resources professional with over 25 years of experience engaging middle and senior management of local and multinational companies to support a long-term organizational growth. She facilitated visioning and values workshops. She is also passionate about people development through conducting leadership training, coaching and mentoring programs. Her experiences includes career as management consultant, property developer, mining, manufacturing, trading, and financial institution. Mr. Sujit Chowdhury comes with more than 18+ years of experience in Insurance, Petroleum retail, Education and Service Industry. He unites wide-ranging expertise in training, leadership and talent development, empowered teams to achieve more for long-term business impact. Sujit has diverse experience in large established companies as well as smaller niche service providers. He drives a relentless passion for developing and seeing people grow into leaders which they intend to become. Sujit has conducted people coaching sessions for 230+ professionals and 3500 + days of training and facilitation. He is a member of ISTD and National HRD. Mr. Sujit holds many certifications including Leadership through Emotional Intelligence (WC- University), Harrison Assessments, Personality Traits (UF), ADDIE and Coaching. He enjoys reading and is a learning enthusiast. Bachelor’s Degree in Commerce – University of Calcutta, West Bengal , INDIA. With over 30 years as senior executive in the financial industry, Veronica’s experience is split evenly between Investment Banking (included managing equity warrant book, equity sales, and pan-derivatives marketing) and Private Wealth Management. Her Investment Banking experience was spent at Burns Fry in Canada, JP Morgan and National West Minster Bank in Singapore, covering central banks, large institutional and corporate clients. She later worked as a Senior Client Advisor/Relationship Manager in Private Wealth Management with Goldman Sachs, Morgan Stanley and UBS covering ultra high net worth families and individuals in Asia. She managed a team and helped her clients through the Global Financial Crisis. Due to Veronica’s direct experience in managing exceptional clients, she subsequently took on a Learning and Development role within UBS. Here, she trained and coached Bankers at all levels on soft skills. She focused heavily on sales, customer relationship management, rapport building, and other skills essential to private bankers. 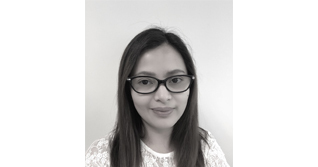 Veronica currently works as a free-lance consultant assisting her clients on strategic matters and financing structures. Tapping on her experiential exposure in the financial industry managing sophisticated client relationships, she also conducts leadership and soft skills training and coaching workshops to individual, students and corporate clients’ employees. For her pastime, Veronica enjoys many outdoor activities such as scuba diving, skiing, tennis, white water rafting, camping and Bungy jumping. She is an active volunteer in charitable groups dealing with children and young adults including mentoring teenagers. Master of Business Administration, Richard Ivey Business School, The University of Western Ontario, 1989. 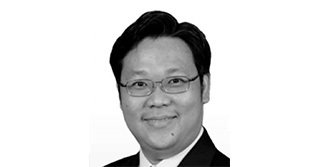 Managing Director, Client Solutions Group – Stormharbour Securities (Singapore) Pte. Executive Director – Private Wealth Management – Morgan Stanley Asia (Singapore) Pte. Executive Director – Private Wealth Management – Goldman Sachs (Singapore) Pte. Weixi is a Learning and Development professional, as well as a passionate student of the complexities that underpin human communications. He believes that equipping employees with soft skills is vital to the success of any organization. He has prior experience as an Operational and Requirements Manager for a world leader in the aerospace industry. In this appointment, he managed the Asia-Pacific operations, overseeing business development, account management, training and development, and financial performance. His current career as a professional trainer and management consultant provided him with opportunities to develop and deliver customised training workshops and OD solutions for participants from a myriad of industries across different countries. 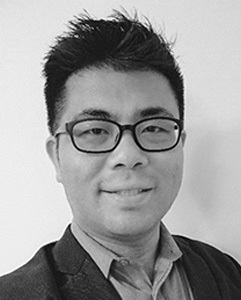 Based out of Singapore, he spends half his time travelling across the region for his training and consulting assignments. Effectively bilingual in English and Mandarin, Weixi’s style can best be described as thoughtful spontaneity in that he uses a range of fun and informal participatory approaches, backed by knowledge and clear intent, to trigger learning and reflection.